A fire requires three things before it can burn. The first is heat; even though fire produces heat, it needs a source of heat to start burning. The second requirement is fuel and the third is oxygen, because fire is essentially oxidation, which is a type of chemical reaction. Most oils are fuels that readily combust at high enough temperatures, and that combustion can begin in the absence of a spark under certain circumstances. Oxygen is a highly reactive element, and most of it exists in the atmosphere in its molecular form, which consists of two bound atoms. Most oils consist of chains of molecules formed with carbon and hydrogen, and the bonds holding them together are weak enough that, when exposed to the air, they can form more stable compounds with oxygen. The process of recombination with oxygen is called oxidation, and it releases energy in the form of heat. Two common products of oil oxidation are carbon dioxide and water, although others may be present, depending on the composition of the oil. 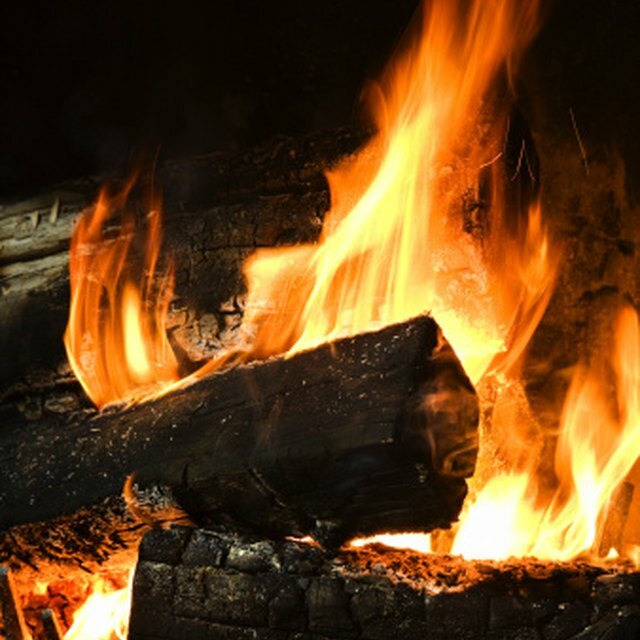 When it proceeds on its own, oxidation usually doesn’t produce enough heat to start a fire. The heat produced when a film of oil is exposed to the air is usually so small that it dissipates before a significant temperature difference in the oil can result. This heat can build, however, when the surface area of exposed oil increases and air circulation is reduced. 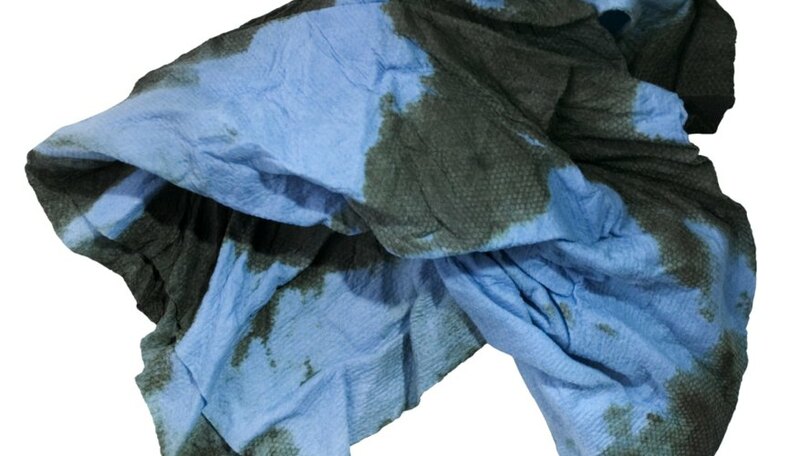 This can happen when oil-soaked rags are wadded into a loose pile. The energy produced by oxidation heats the rags, and the heat increases the oxidation rate, creating a positive feedback loop. Eventually the rags may ignite. The name for the phenomenon whereby oil-soaked rags catch fire is spontaneous combustion, but it isn’t really spontaneous. It’s caused by the steady buildup of heat that results as the oil in the rags oxidizes. Typically the rags first feel warm to the touch, then they smolder and finally, when the temperature reaches the flash point of the oil, they burst into flames. A pile of leaves or branches can spontaneously combust in the same way, as the natural oils oxidize and heat builds up. Oil held in a container rarely combusts by itself, but a film of oil on a flat surface may ignite if exposed to direct sunlight. Spontaneous combustion of oil-soaked rags is a well-known hazard, which is why the Occupational Safety and Health Administration (OSHA) specifically requires such rags to be kept in a fire-resistant container until they can be removed from the workplace. A fire can also occur in a laundry room if oily fabrics are allowed to accumulate in a pile. The danger is not specific to petroleum-based oils. Drying oils found in paint products, such as tung and linseed oils, are also dangerous, as are household vegetable oils such as olive oil. Even if it doesn’t start a fire, oxidation of oils in clothing can cause fabric discoloration and acrid odors. Deziel, Chris. "Can Oil & Oxygen Ignite without a Spark?" Sciencing, https://sciencing.com/can-oil-oxygen-ignite-spark-16296.html. 25 April 2017.